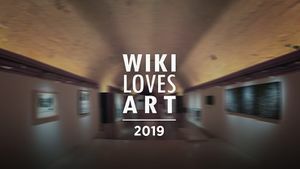 Wiki Loves Art 2019 is a series of events and exhibitions presented by Wikimedia Community Malta in collaboration with Fondazzjoni Kreattività's Spazju Kreattiv, the M3P Foundation, the Gabriel Caruana Foundation, and the US Embassy in Malta between 25 January and 7 April 2019. Alongside the exhibitions, other activities will include a number of Wikipedia editing workshops. These events will further address the gender gap on Wikipedia whilst highlighting the work of women artists and their artistic contribution to Malta. This initiatives building on similar work that has take place in Malta since 2016, spearheaded by Wikimedia Community Malta in collaboration with various other non-profit organizations.